When planning a “guys getaway” in Wisconsin Dells, golfing is a must! The Dells area is home to over a dozen unique courses offering beautiful scenery, pristine landscape, and courses for all skill levels. Be sure to check out the 2018 Golf Card before your vacation starts and score 2-for-1 green fees at select area golf courses! Wisconsin Dells is full of shows for you and your buddies to enjoy! For some action and excitement, check out the Tommy Bartlett Ski, Sky, & Stage Show. Enjoy 90 minutes of water ski tricks, crazy boat maneuvers, and a full stage show. Also, Paul Bunyan’s Northwoods Lumberjack Show will transform you to the Northwoods of Wisconsin. See the lumberjacks as they test their balance at log rolling, test their coordination at axe throwing, and their strength at block chopping and pole climbing. This show will keep you guys at the edge of your seat! If you guys want to spice things up, check out the Magic and Comedy at the Rick Wilcox Magic Theater. This show, dubbed as “The Best Illusions Show in Wisconsin Dells” features mind-blowing grand illusions that will confuse your brain beyond belief! Wisconsin Dells clubs come to life when the sun goes down. 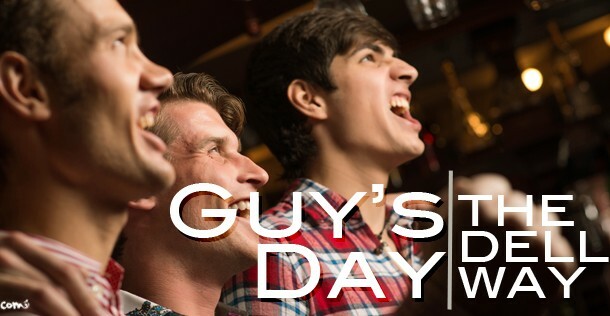 Gather your bros, explore the popular nightlife areas, and dance until dawn in Wisconsin Dells! The Reef Night Club is perfect for a night to remember. This Jamaican-themed night club is designed as an ocean playground with 4 different bars, including one shaped just like a pirate ship! Dance the night away as the DJ plays the hottest hits. VIP shark cages and lounges are available for you group. The Reef also offers shuttle service to any Wisconsin Dells Resort or residence. If you’re looking for a change of pace from the club scene but want to still have a great time, check out the large beer selections at Showboat Saloon or Sand Bar. Both places offer a great atmosphere for you and your friends. Also, Cruisin’ Chubbys Gentleman’s Club offers 4 stages and 5 full liquor bars to entertain! 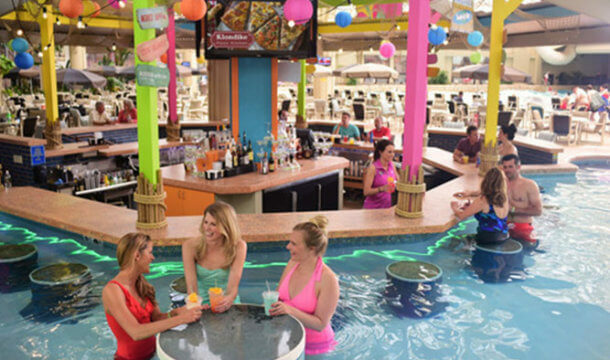 If you’re of the legal drinking age, spend some quality time with the guys over an ice cold beer or cocktail when you explore the different bars Wisconsin Dells has to offer. From specialty craft beer to domestics and imports, you’ll find hundreds of different types of brews in Wisconsin Dells. Before you start your pub crawl, pick up a Super Splash Pass, which includes 2-for-1 beers AND 2-for-1 cocktails at select Wisconsin Dells establishments. Wisconsin Dells offers great Taxi & Ride Services to get you to and from your destination. Some Dells bars also participate in the SafeRide program to ensure you get home safe! Want a slice of Las Vegas without spending on airfare? JACKPOT! Ho-Chunk Gaming Wisconsin Dells offers hundreds of Table Games, Slots, Bingo, Off Track Betting, and more! Test your luck responsibly and you might even walk away being a big winner! There are always promotions going on in the casino that offer incentives and rewards play. 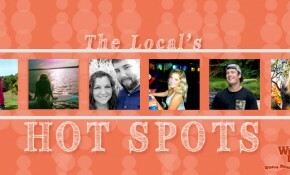 After testing your luck, grab a bite to eat at one of the 5 specialty restaurants located on property! You and the guys will have a fun time being entertained by all of the lights and sounds of the casino when you visit Ho-Chunk Gaming Wisconsin Dells. As you can see, Wisconsin Dells isn’t *just* a family destination. 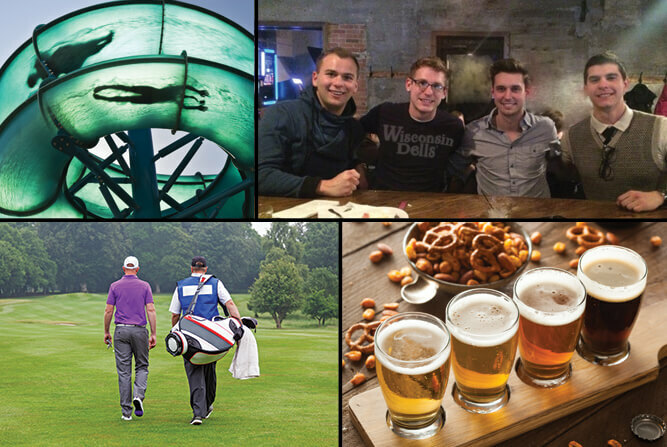 There are plenty of opportunities to escape with your bros and have the time of your life. The above list is to give suggestions of things to do. Before you make your plans, check out the 2018 Wisconsin Dells Coupon Book with over 350 coupons and $13,000 in savings! Whichever way you decide to plan your getaway as a bachelor, always plan in advance, stick together, and make smart decisions!